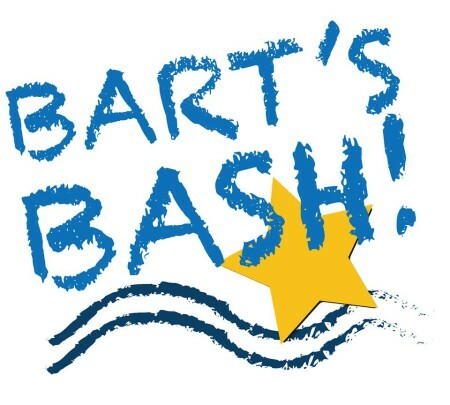 Winner announced of the Bart’s Bash Logo Hunt! We have a logo winner!! After a lot of deliberation, the Andrew Simpson Sailing Foundationtrustees have settled on a design by Polly Durrant from Dorchester, Dorset. They felt it was simple, instantly recognisable, had international reach and included elements from the Star and Finn class logos – both areas that Andrew was closely linked to. Both of the class associations have whole heartedly endorsed the new logo, and we feel it will work wonderfully to globally identify this major event. We would also like to pay tribute to all the other entrants to the competition who gave time to support us and share their ideas. There were many wonderful and creative visions and we were humbled by your support, particularly those children who entered – this would have made Andy really proud. Special mention must also go to Ben Cochrane and Lewis Price-Nutman who were the other two entrants to place in the top three, and both are still in primary school! We appreciate that they may be disappointed by the final decision, however hope that this will be quickly replaced by real pride at the wonderful achievement in getting so far in this global competition.